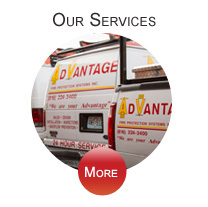 Advantage Fire Protection Systems offers a complete line of services. Installation of new and modification of existing fire sprinkler systems (relocating of sprinkler heads, branch line and main piping, submittals, design). Testing and Inspections of all water based fire sprinkler systems, fire pumps, backflow devices, fire hydrants: annual, semi-annual & quarterly inspections. Our service department is operational 24 hours a day, 7 days a week. We will respond promptly to your needs - emergency, urgent or routine. Corrosion solutions involving nitrogen generators and automatic air venting devices. Typically these services are performed during normal hours and normal workdays. Inspection frequencies are quarterly, semi-annual, annual, 3 year and 5 year. NFPA 25 is the standard for the Inspection, testing and maintenance of water based fire protection systems. A system that consists of an integrated network of piping designed in accordance with fire protection engineering standards that includes a water supply source, a water control valve, a water flow alarm, and a drain. The portion of the sprinkler system above ground is a network of specifically sized or hydraulically designed piping installed in a building, structure, or area, generally overhead, and to which sprinklers are attached in a systematic pattern. The system is commonly activated by heat from a fire and discharges water over the fire area. A valved connection on a water supply system having one or more outlets and that is used to supply hose and fire department pumpers with water on private property. A pump that is a provider of water flow and pressure dedicated to fire protection. These devices prevent the reverse flow of water that could contaminate the water supply. Where connections are made from public waterworks systems, such systems should be guarded against possible contamination. While the sprinkler system is shut down for the purpose of internal valve inspections, the flushing connection at the end of one cross main and a single sprinkler at the end of one branch line must be removed and the inside of the piping is then “inspected” for the presence of organic and inorganic material. This obstruction investigation is not a routine procedure; it is only needed when a problem exists. If any obstructing material is found, a complete flushing program must be conducted to remove any remaining obstructing material. The Dropmaster connects to any point on the sprinkler system. Once connected and operating it maintains a constant 10”Hg vacuum, when the system is breached, as in the removal of a sprinkler head, a siphoning effect is created. This allows the fitter to replace the sprinkler head without using a bucket or creating a mess as a result of a spill. The Dropmaster’s flexible discharge hose allows for a quick and easy connection to any drain, thereby keeping the work area clean and odor free. Click here to watch a video on the Dropmaster. A work order request is made and classified as: Emergency, Urgent or routine followed up with the response so that your fire sprinkler system is in satisfactory condition. Adding walls, ceilings or changing classifications can require new work on the fire sprinkler system to meet code compliance. The need for corrosion protection in dry and pre-action sprinkler systems is evident, and new techniques have been developed to extend the useful life of fire suppression systems. Click here to watch a video on corrosion solutions. 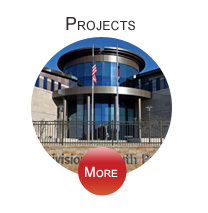 Our design team will work with you to provide a comprehensive plan with all necessary details regarding the installation of your fire sprinkler system(s). 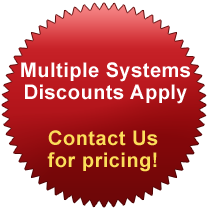 Click here for a video about Total Station. Proposal and budget pricing is always free of charge; we will compete to earn your business. Our emergency response time is less than 2 hours. 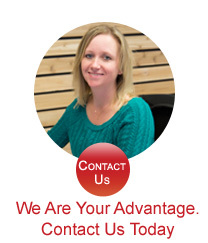 All of our services start with listening to your needs first.